Blue Bell Cottage offers the perfect holiday experience. The 3 bedroom Grade II listed character cottage is set in the conservation village of Old Ollerton in Sherwood Forest. The cottage has a wealth of character with its beamed ceilings, log fires and flagstone floors. Boasting two comfy living rooms, this lovely cottage is the perfect family or romantic getaway. The warm and welcoming cottage is an ideal base to explore the many visitor attractions of Sherwood Forest and the Ducal Estates. 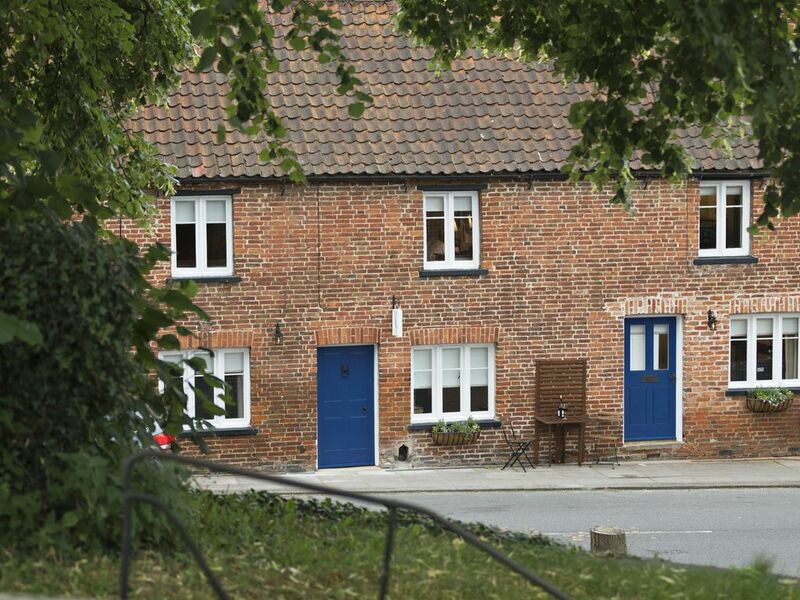 Right on your doorstep is picturesque Old Ollerton with a working watermill and tea room. In the evening, take a stroll around the village where there are two village pubs serving meals and an Italian restaurant. Within a 10 minute car journey there are the attractions of Clumber Park, Rufford Abbey, Sherwood Forest Visitor Centre and Robin Hood's Major Oak. The cottage rooms are furnished with a mixture of antique and high class furnishings, comfortable sofas, hypnos mattresses with crisp bed linen. At the end of the day, soak-a-way your troubles in our 14 jet jacuzzi bath and spa shower. Sleeping six in comfort with three double bedrooms or 2 double bedrooms and a twin, each bedroom has a digital television. Very clean. Quality furniture and bedding very cosy. Well presented and very cosy. Very well equipped and good quality furniture and bedding etc. Anyone who is very tall may struggle with the very low door frames but we were fine. The stairs are challenging if you have any mobility issues and the kitchen is upstairs so could be tricky but again we were fine. A really nice cottage. Good location. Thankyou. Great cottage! Very well equipped and beautifully furnished. Fabulous! The church bells mentioned by other visitors were not an issue at all! Lovely Quirky Property but soooo noisy. If they had told us the church clock right across the road chimed every quarter of an hour 24/7 we would not have booked. Did not get much sleep during our week there. Everything else was ok apart from the hobbit doors. Even my wife had to bend to access the doors and if you forgot to duck you were rewarded with a headache. We know the cottage is quirky and has cottage sized door openings. They are low but we think this adds to the charm of the cottage. The doors cannot be altered without listed building consent. Our refurbishment had a signwriter write “duck or dive” and “bump or grind” above two of the doorways to prevent heads being bumped. The Church forms the conservation area in the village. The Church clock does chime and the bells ring for Sunday morning service and weddings. We think that the Church clock bells are part of the voice of the village but accept that they may disturb sleep, particularly if you are not used to hearing clock chimes and not everyone may like them. We thank you for your review which has given the opportunity for people to anticipate if this will be an issue for them. I stayed here with my husband, our two children and my parents. The cottage is beautifully decorated and very well equipped in the kitchen with everything you could need for self catering. Nicely surprised with the addition of tea, coffee, soap and toilet rolls. Comfy beds and lots of tvs! The fishing nets supplied were fantastic to keep the kids entertained down by the river! My only suggestion would be to pack some earplugs though as the church across the road chimes every 15minutes including throughout the night!!! Very good but lacked some basic essentials. - we usually have welcome packs on arrival. There is tea and coffee but milk would have been nice. The door handle to the lower lounge is broken and almost unusable. The door latch in the largest bedroom could be fixed with one screw. The picnic and fishing nets are a really lovely idea but with a bit of extra effort at minimal cost as outlined above the cottage could be exceptional. Thank you for your review and comments. However, I was disappointed to hear that a few things would have made your stay even better. I have today spoken with our cleaning company and raised your issues as it is part of their remit to make sure the soap dispensers are full and there is plenty of kitchen roll and tea towels left out for our guests. I also apologise that most of the crockery was still in the dishwasher – the cleaners leaving before the cycle was finished. I will now be conducting regular spot checks to make sure all of the above doesn’t happen again in the future. Regarding laundry. A local company supply all our laundry and 6 hand and 6 bath towels are left for each booking. Thank you for highlighting the door handle problem. I was not aware of this or the door latch in the largest bedroom. Both will be fixed immediately. We are pleased that you otherwise enjoyed your stay at Blue Bell Cottage and hope you will be back again the future.